Anyone who currently owns or is thinking about opening a bar or tavern in the Tampa Bay area knows just how popular these establishments are with residents and visitors alike. For example, a list on TripAdvisor shows that bars, taverns, and pubs such as Coppertail Brewing Company, World of Beer, Clooney’s Wine Bar, and Tiny Tap Tavern are among the most popular spots to eat and drink in Tampa. But what happens when a bar or tavern in the area finds itself in debt but does not want to close its doors? Chapter 11 bankruptcy often is one of the best options for bar and tavern owners who need help dealing with debt but want to keep their businesses open while getting back on track. We will tell you more about filing for Chapter 11 bankruptcy and the ways in which it can be beneficial to bar and tavern owners in the Tampa Bay area. If you are a business owner in Tampa, Florida, which includes owning a bar or tavern, you should know about Chapter 11 bankruptcy and the ways in which it can help business owners who are facing what seems like insurmountable debt. As the U.S. Courts website explains, Chapter 11 bankruptcy is a type of “reorganization” bankruptcy. It is somewhat similar to Chapter 13 bankruptcy, except Chapter 11 usually involves businesses while Chapter 13 typically involves individual consumer debtors. The plan of reorganization, or a repayment plan, outlines how the bar or tavern will repay creditors over a period of time. 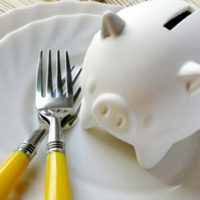 Once the bar or restaurant completes the terms of the plan, remaining debts can be discharged. Why Should a Tampa Bar or Tavern File for Chapter 11 Bankruptcy? Chapter 11 can be used for many different types of business structures, including a sole proprietorship, a partnership, or a corporation. As an article in Forbes clarifies, bars and restaurants can choose from among the different business structures. While some operate as sole proprietorships or partnerships, bars and taverns can also benefit from being limited liability corporations (LLCs). Any of those business structures can be eligible to file for Chapter 11 bankruptcy. Bars and taverns in Tampa should also consider filing for Chapter 11 bankruptcy in order to keep their doors open while making payments to creditors as part of the repayment plan. Unlike liquidation bankruptcy, Chapter 11 bankruptcy as we mentioned above allows a business to stay open. In other words, a bar or tavern can continue operating—paying employees and bringing in customers—during bankruptcy. This is much different from Chapter 7 bankruptcy, in which the bar or tavern would be forced to close its doors. If a bar filed for Chapter 7 bankruptcy instead of Chapter 11, its assets would be liquidated in order to repay creditors. Owners of bars, taverns, or pubs in the Tampa Bay area should also keep in mind that they can always convert their bankruptcy from Chapter 11 to Chapter 7 if it becomes impossible to complete the terms of the repayment plan. To be clear, a business can convert from a reorganization bankruptcy to a liquidation bankruptcy with the help of an experienced bankruptcy lawyer. Are you a bar or tavern owner with questions about filing for Chapter 11 bankruptcy? An experienced Tampa bankruptcy attorney can help. 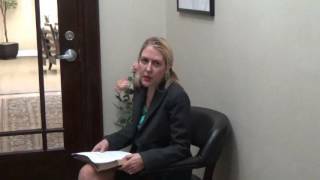 Contact Tampa Law Advocates, P.A. for more information.